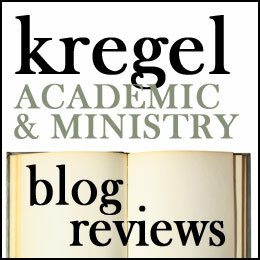 The Happy Theologian and His Wife: book reviews. 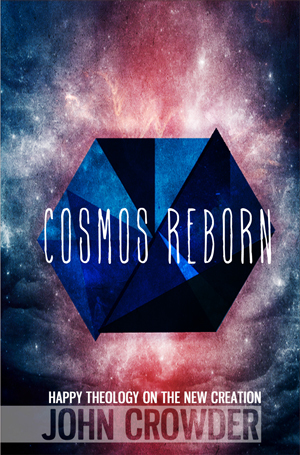 John Crowder, Cosmos Reborn: Happy Theology of the New Creation. Marylhurst, Oregon : Sons of Thunder Ministries and Publications, 2013. As I picked up Crowder’s book. I was initially impressed. While Crowder has no formal theological training, he is not anti-intellectual. He draws generously on the works of Karl Barth, Thomas and James Torrance, C. Baxter Kruger, and Robert Farrar Capon,is passionate about Trinitarian Theology and even draws on patristic sources. This was not the fare I expected from a charismatic evangelist! I appreciated both the thoughtfulness and accessibility of this material. Crowder urges us towards deeper theological reflection on scripture, interpreted through a Trinitarian lens with one eye trained on Jesus as the Godhead’s self revelation to humanity. He wants us to all be theologians, and all theologians to be contemplatives. He is a passionate advocate of grace. Like the Reformed theologians he draws on, he does not see faith as our own means of appropriating salvation. God has acted decisively in Christ to save humanity. Conversion and New Birth is our discovery of who we are in Christ. Much of what Crowder says in these pages may seem like ‘universalism’ but he eschews the term. He does hold out hope that all of humanity would be saved, and lays emphasis there, but he also tries to hold in tension scriptures which speak about hell and judgement. I would characterize Crowder as a ‘hopeful universalist.’ And that isn’t to say he doesn’t want people to come to Christ now. He believes that Jesus came to be the head of the new humanity and to lead us into relationship with God and transform our lives. Ultimately he wants people to enter deeper into this grace-filled-God-life and experience its riches. Like many contemporary theologians, Crowder takes pot-shots at penal substitution. I am a multi-metaphor guy and do allow for different understandings of the atonement (i.e. Christus Victor, Moral influence, etc.). I appreciate that while Crowder’s atonement theology is more ‘subjective,’ his theology of the Incarnation is objective–something happened when Christ took on our humanity which altered all of Creation. My criticism of Crowder on this point, is how much he caricatures penal substitution and its adherents. He says at one point, mocking the theory, “God really hated you, but since he savagely decided to massacre His own Child, He’s deciding to love you as long as you say this prayer. . .” (51). Many of my friends who are passionate about penal substitution, also believe that ‘God so loved the world that he sent his Son. . .” and that ‘God was in Christ reconciling the world to himself.” There is a bit of a strawman here when Crowder avers that Penal substitution simply means that God as the vengeful angry God and Jesus is God’s Son who defeats Dad to win us a place in God’s heart. If Crowder simply argued that Penal substitution does not carry the freight of the gospel or deserve to be the central model many evangelicals make it out to be, I wouldn’t argue, but I think he is needlessly dismissive on this point and unfair to those who don’t share his view. I also think Crowder overstates the discontinuity between the Old and New Covenant. 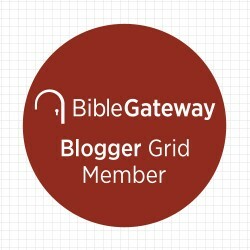 I agree with him that Christ in our full revelation of what the Father is like and the one whom the Old Testament points to; however some of Crowder’s statements contrast Christ’s revelation with the ‘shadowy’ Old Testament when God behaved differently (76-78). There are some diffucult passages in the Old Testament (such as the Canaanite Genocide) but any reader of the Hebrew Bible also encounters a God who is gracious and compassionate, slow to anger and abounding in loving kindness. The God of the New Testament is the God of the Old. Crowder does affirm this, but thinks that God behaves differently toward humanity because of the New Covenant. I see a greater continuity. My biggest issue is that Crowder articulates a version of the Prosperity gospel. I am not sure that I would call his version heresy, he seems grounded in a robust theology of the Trinity and is appropriately Christocentric; yet he articulates an over-realized eschatology. Crowder expects that because poverty and suffering are not God’s ultimate plan, those who have grabbed a hold of their identity in Christ will prosper and prosper in the here and now. Christ’s blessings are not future but are available to anyone who grabs a hold of them. I agree with him that God provides for his children and sustains them by his grace, but I think he overstates this point and in a way which is too comforting for Western Christians who’s prosperity is too often tethered to some global injustices. I am disturbed that Crowder’s theology lays guilt on the poor for not knowing who they are in Christ. If you can separate out these issues, I think Crowder has provocative and challenging way of looking at Christ’s work and our identity in him. I just still have some qualms about some of it. So I give it 3 stars. Lily Crowder, Grace for the Contemplative Parent: A Practical Guide For Mothers Practicing the Presence of God. Marylhurst, Oregon : Sons of Thunder Ministries and Publications, 2013. Yes you read that subtitle right. I am reading a book marketed at mothers. Why? Because I eschew gender essentialism and I figured if something is good for the goose it is good for the gander. I am all gander. Lily Crowder writes as a stay-at-home mom. When John Crowder’s ministry ‘took off’ and he found himself in the limelight, Lily felt lots of pressure to also become the superwoman minister. Well meaning people would see her with four kids in tow and tell her that one day God would give her an important international ministry. The thing is, she didn’t feel called to professional ministry. She felt called to raising four kids and supporting her husband in ministry as a stay-at-home mom! Drawing on scriptures and Brother’s Lawrence’s spiritual classic The Practice of the Presence of God, Crowder talks about cultivating a lifestyle of prayer in the context of motherhood. Bro. Lawrence wrote of praying with your arms up to the elbow in dish water, Crowder talks about praying while doing laundry and watching kids. What makes this book is that Crowder writes in a conversational style and shares the challenges of cultivating an awareness of God and his purposes in motherhood. 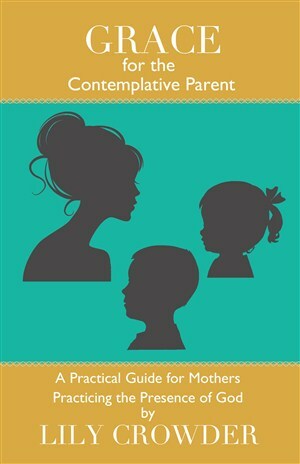 The chapters are short (11 chapters in about 100 pages) and they talk about various practices for a contemplative mom. These include the practices of being loved, being content, daily wonder, gratitude, optimism, building wisdom, letting go, solitude, rest, and identity and nurturing wholeness. Some of Crowder’s chapters resonated with me more than others. I loved her chapter on ‘Daily Wonder’ where she talks about how her children help her to stop and look at the world at awe (which leads to a greater sense of worship. The chapter on the practice of optimism seemed overly simple and insensitive to those who struggle with depression (even though I agree that there is power in Christian joy). However on the whole, I felt that she captured the wonder of living life with a cultivated awareness of God. Because this book is firmly rooted in Crowder’s own experience of motherhood and prayer, it doesn’t feel preachy. She is simply sharing her own experience of prayer and parenthood. She has a lot of wisdom to offer. And yes, dad’s too can find inspiration and encouragement from her words. I give this book four stars. Thank you to the publisher for providing me a copy of this book in exchange for my honest review. Previous Previous post: Preaching in an Age of Distraction: a book revie. . .hey what’s that?